See our Calendar for dates, and our brochure for more information. Healthcare experts agree that an organization’s credentialing and privileging system is the foundation of quality patient care. While credentialing and privileging decisions are the ultimate responsibility of the Medical Staff and Governing Body, each group relies heavily on medical services management and credentialing personnel to manage an effective credentialing and privileging process, and serve as an internal resource for the medical staff and administration when credentialing issues are identified. ABMS Solutions and our CERTI-FACTS Online products allow users to navigate primary source board certification information for over 850,000 medical professionals - primary care physicians, physician specialists and subspecialists in more than 145 specialties and subspecialties recognized by the American Board of Medical Specialties (ABMS). We are the only PSV provider with daily updates to the ABMS database. The nation's trusted source for core credentialing information, the AMA provides Physician Profiles for initial credentialing and reappointments that are accepted by Joint Commission, NCQA, AAAHC, HFAP and more. In addition, AMA Continuous Monitoring Service automatically notifies customers whenever physician credentials change. 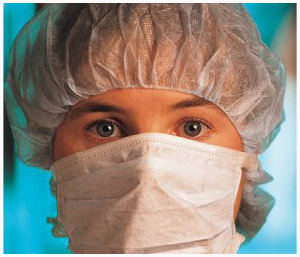 AMA is also the sole distributor of AAPA Physician Assistant profiles. AOIA provides comprehensive primary source verification of DO credentials to state medical licensing boards and all healthcare entities. Used in combination with established credentialing procedures, this meets primary source requirements for osteopathic medical education, AOA and ACGME postdoctoral training and AOA and ABMS speciality board certification for all accrediting agencies. BoardCertifiedDocs.com (published by Elsevier) is an official ABMS Display Agent. It is the only website with primary source board certifications PLUS additional professional data that includes NPI #, active state license(s), hospital and academic affiliations, etc. Take advantage of unlimited access for the duration of your subscription, including free Alerts to notify you of certification changes or any change to a profile. Faster search options, additional features for easy credentialing and more. Mini-subscriptions and data licensing are also available. Healthcare experts agree that an organization's credentialing and privileging system is the foundation of quality patient care. While credentialing and privileging decisions are the ultimate responsibility of the Medical Staff and Governing Body, each group relies heavily on medical services management and credentialing personnel to manage an effective credentialing and privileging process, and serve as an internal resource for the medical staff and administration when credentialing issues are identified. Beyond The Basics – Created for experienced individuals with basic knowledge of credentialing and medical staff issues, this course is for those credentialing and medical services management professionals who are ready for more in-depth training and problem solving alternatives, incorporating case studies and emphasizing critical thinking skills. "I feel very privileged to have been able to attend both the "Basics" and "Beyond the Basics" courses. 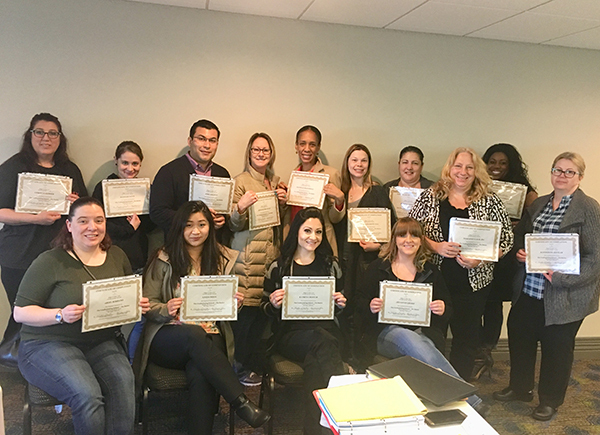 The faculty have such a wealth of knowledge to help anyone succeed in the medical staff services field. The Credentialing School should be made a requirement for this profession." 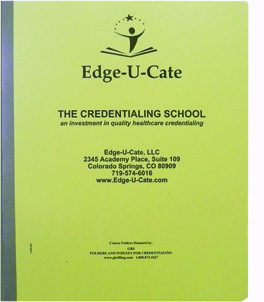 "Your "edge-u-cation" has been so useful with real application processes and credentialing problem solutions. 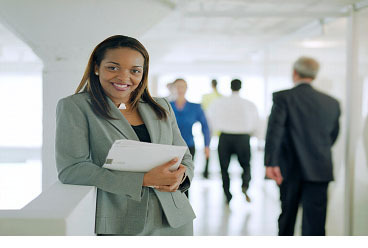 I have used many of the items/solutions from both classes to improve procedures and office management. Even my administration, medical staff leaders, and surveyors have been impressed. Thanks you! Thank you!" "Excellent material! The material was for all organizations, not just large or small facilities. Educators were excellent and fun!! be given to other parties. Copyright © 2010-2018 Edge-U-Cate, LLC.